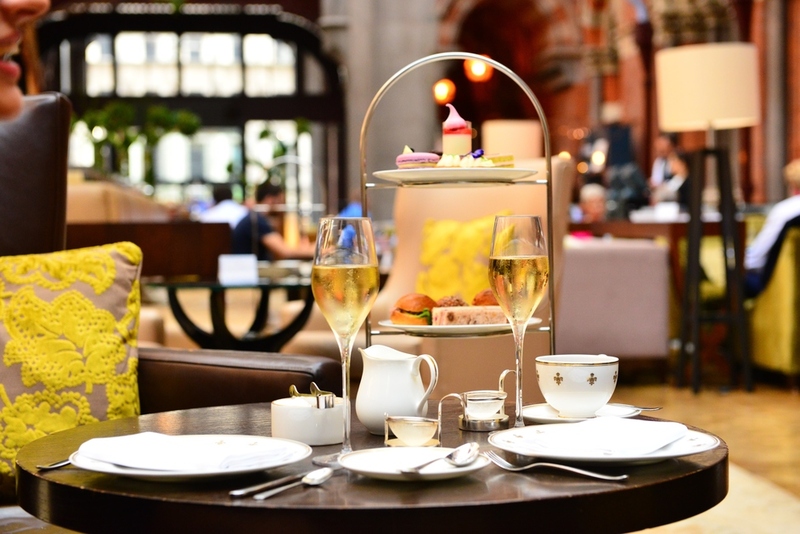 With striking gothic architecture as the backdrop, afternoon tea at The Gilbert Scott is a glamorous affair. Nibble on finger sandwiches and sip on champagne while surrounded by gothic bells, a grand painted ceiling and marble pillars. With Marcus Wearing at the helm, you can expect the food to be as impressive as the surroundings. Choose between the Classic Afternoon Tea, with homemade scones, sweet treats, sandwiches, savouries and your choice of tea (there are variations available); the Champagne Afternoon Tea, with the addition of a glass of Gosset Brut Excellence Champagne; and the Temperance Afternoon Tea, served with a glass of Green Lady sparkling green tea. If you really want to splash out, treat yourself to a stay at the St Pancras Renaissance Hotel, which The Gilbert Scott is housed within. The Gilbert Scott Afternoon Tea gyms, sporting activities, health & beauty and fitness. The best pubs near London The Gilbert Scott Afternoon Tea. The Gilbert Scott Afternoon Tea clubs, bars, cabaret nights, casinos and interesting nightlife. Where to have your meeting, conference, exhibition, private dining or training course near The Gilbert Scott Afternoon Tea. From cheap budget accommodation to luxury 5 star hotels see our deals for The Gilbert Scott Afternoon Tea hotels, including Holiday Inn London Bloomsbury from 79% off.